I think I mentioned this before, but when Then Comes Winter was launched, Christina Boyd organized a book launching party in Facebook. In this party, all the authors who participated in the anthology were present with several games, challenges and giveaways. During that week, I had a lot of fun talking with all the JAFF fans out there, and was one of the lucky winners of 2 giveaways. One of them was a paperback copy from a Lory Lilian book which I could choose. I choose Remembrance of the Past and loved it! 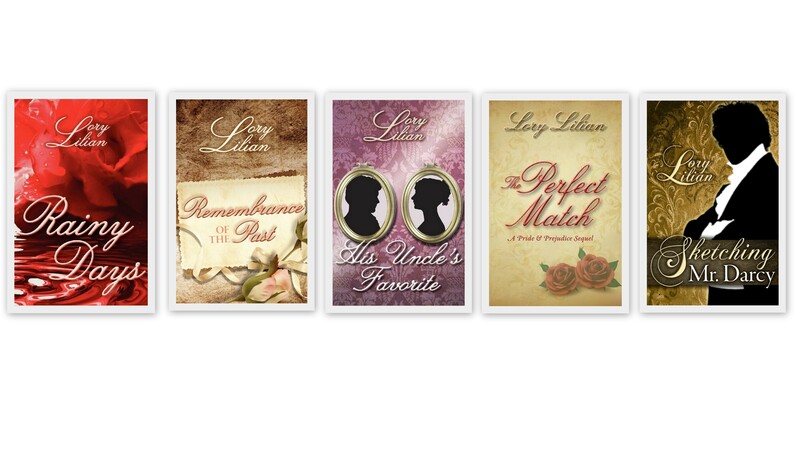 I posted a review for it last month, and Lory Lilian, who has been very nice and supportive, decided to repeat the giveaway, and offer my readers 2 e-book copies of any of her books. And so, I got a chance to receive her in my blog for the first time! I have to say that receiving such an amazing writer is a true honor for me, and I could not thank Lory Lilian enough for coming to From Pemberley to Milton, and to be so generous to my readers. Please send me your contacts to ritaluzdeodato at gmail dot com until the 7th of April and let me know which of Lory Lilian’s books you would like to receive. I will pass that information to Lory Lilian for the ebooks to be sent to you. Happy Reading Mary and Ceri! Congrats to both–she is a terrific writer!